Although I unfortunately missed the Billericay Oxfam shop's 'Linen and Lace' event this year, I was recently given a rather nice little stash of linens and lace all for myself. A good friend of mine in Bristol had rescued some vintage hankies and napkins and I was more than happy to give them a good home, and hopefully a new lease of life. 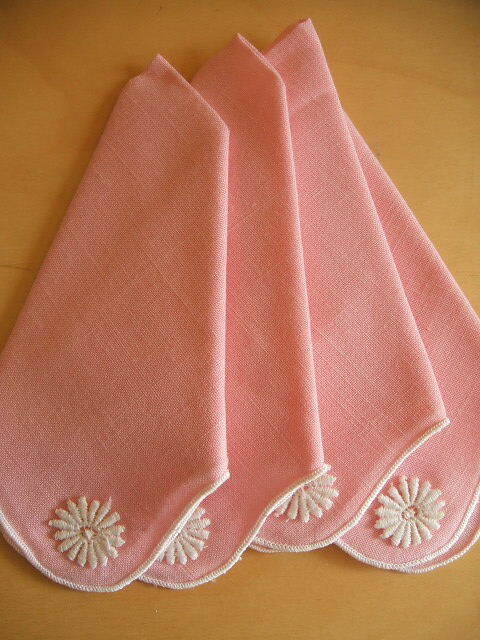 There are four sugar-pink napkins which I have plans to do something with in the not-too-distant future. 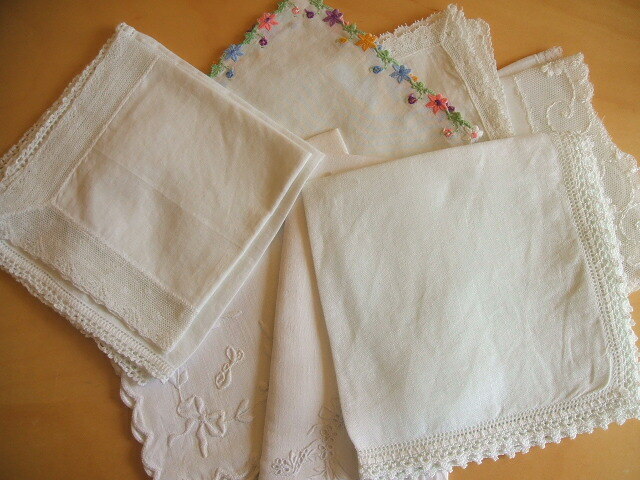 A dozen or so really pretty lace-trimmed and / or embroidered hankies. I'm not a hankie person as such but these are so lovely that I hope I can make use of them one way or another. 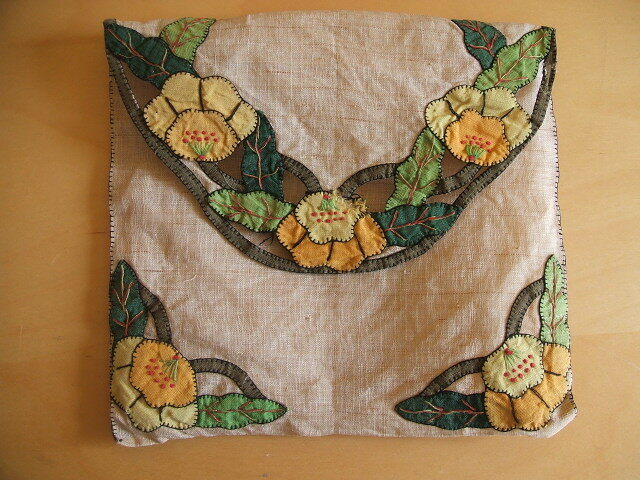 And everything was tucked away in this beautiful handmade hankie case. It has the most amazingly fine embroidery stitches around the flowers and also features cutwork decoration on the flap. This would be just the thing for transporting any small craft project or for keeping my embroidery silks in one place. Thank you A for all those lovely bits of linen and lace, it was really kind of you to think of me. Hope the next 10 days or so go well. I can't resist old linen and lace, even if I'm not sure what I'll do with it. Maybe some padded hearts to hang on a door handle? I'm sure you'll create something lovely. What lovely old hankies - I have a particular fondness for the printed childrens ones that you never seem to see much of now.